Want to try your feet at Roller Derby?? 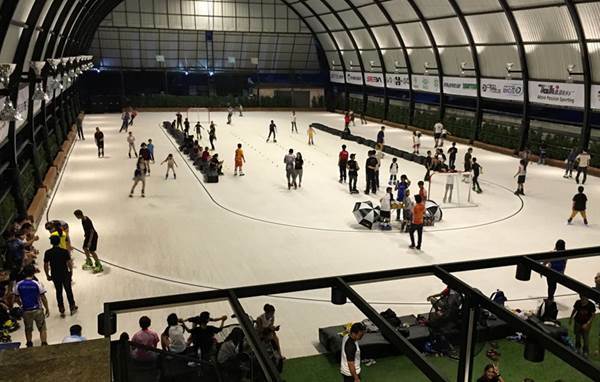 As part of our Siam Skate-tacular! event this month, we’re offering limited spaces for new skaters to try on quad skates and receive training from our very own Bangkok Roller Derby coaches. With an introduction to the sport and our team, you’ll get 2 coached sessions learning some key skills and drills needed to play roller derby. In addition, you’ll get exclusive access to meet derby players from around the world and ask them your questions, watch the advanced skaters training AND free entrance to watch actual roller derby games! Roller derby is a points-based contact sport played with QUAD SKATES on a flat, oval track. It's fast-paced, action-packed and one helluva good time! Two teams battle it out on track to score as many points as possible. There are jammers who score the points, and there are blockers who have to stop the other team from getting those points! It’s fast, it’s furious, it’s fun and it’s all on roller skates…what’s not to like?? PLEASE BOOK A TICKET, AND BOOK A SHOE SIZE, AS SKATES ARE LIMITED!!! *Tickets are limited to the quad skates and sizes we have available for hire. If you have your own quad skates, please make a note with your ticket purchase. Roller derby can only be played on QUAD SKATES, therefore strictly no inline skates allowed. **Training will be in English and Thai language. ***Roller derby is a contact sport and therefore this event is for people 18 years old or over. 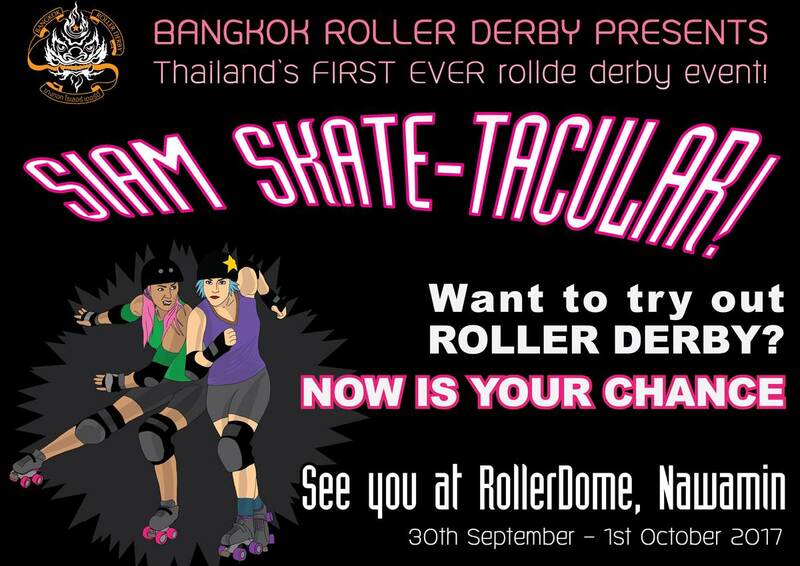 มาประลองฝีเท้ากับ Roller Derby/โรลเลอร์ เดอร์บี้ กันไหม?? Free entry to watch the games on Sunday 1st October!